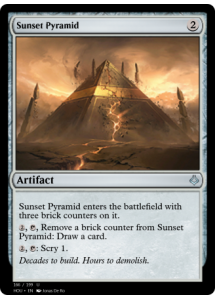 Sunset Pyramid enters the battlefield with three brick counters on it. 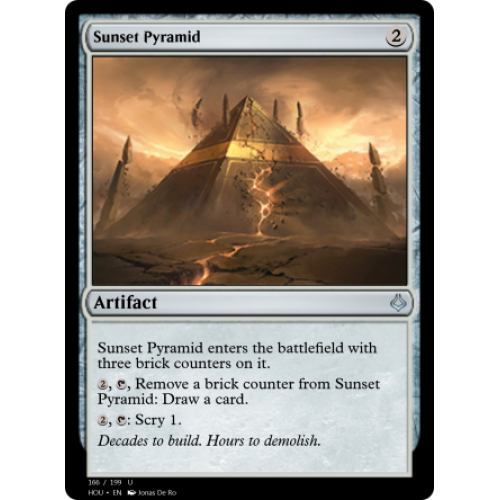 , , Remove a brick counter from Sunset Pyramid: Draw a card. Decades to build. Hours to demolish.